LITTLE ROCK, Ark. (AP) – The Arkansas House has approved a bill that would criminalize the killing of a fetus from the moment of conception. You can see the rest of the short article here. I don’t have the latest information on this, but my mom saw it in an almost hidden space in the local newspaper. It appears that the representatives for the people of Arkansas are continuing to push for more restrictions on abortion. I’m hoping that this measure will pass as have the last two anti-abortion laws. A veto will need to be overridden and there will be litigation, but I am thankful to live in a state where life is valued by the majority. 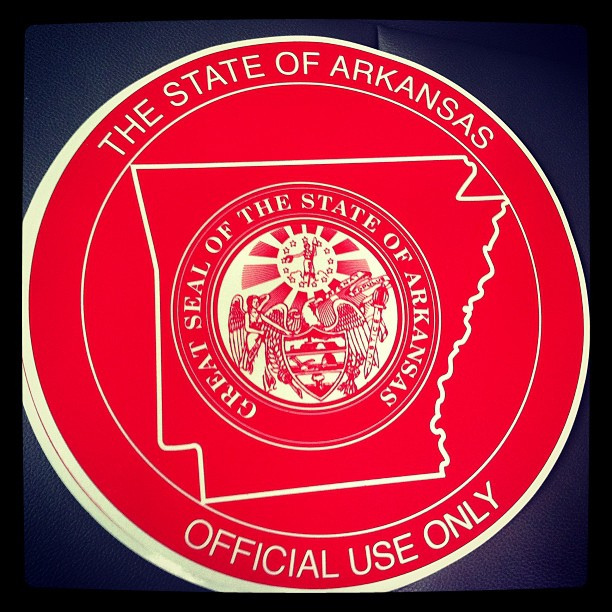 Also: It is interesting that the Seal of Arkansas has the word “mercy” on it. Also: Welcome to a new subscriber named jens54a from Nuremberg, Bayern, Germany. This entry was posted on Monday, March 25th, 2013 at 9:39 PM and is filed under Abortion, Commentary, Creation, LIFE, Science, theology, Words that Uplift. You can follow any responses to this entry through the RSS 2.0 feed. You can leave a response, or trackback from your own site. Wow, it does my heart good to see this action. Also, the article uses the phrase “Fetal homicide” now that has some real emphasis on the entire horror of abortion. The last statement in the article is a real eye opener for the hardened hearts who worship around their supposed rights of Fetal homicide. “Abortion rights advocates have said they’re concerned the bill would lay the groundwork for further restrictions on abortion in the state.” Dah, do you think so? Your question is a good one, Manny. I know of one mother who saw the video called “Silent Scream” and she changed her mind and now has a fine young son. “Silent Scream” is not shown by the pro-life folks anymore because they feel it is too horrific. Only the Holy Spirit can change the hard hearts to which you refer. It is good to see what is happening in this state. I hope the sentiment spreads. Always appreciate your comments my friend.